Tags: essential package, Guide, integration, paediatric palliative care, symptom relief, WHO, and World Health Organization. 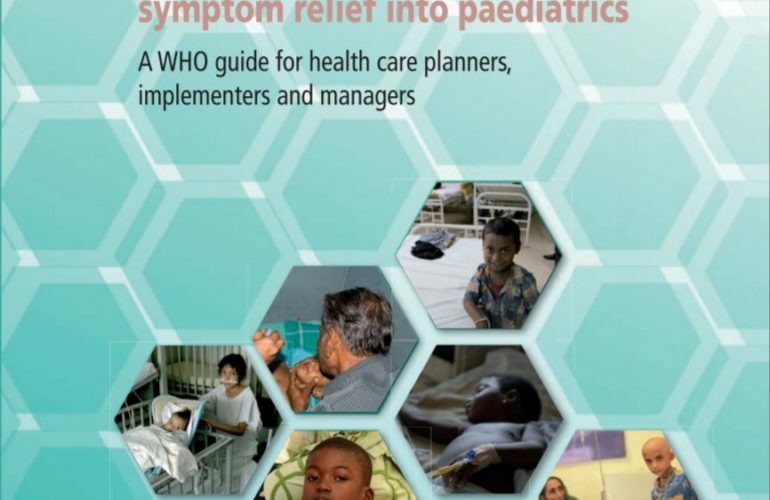 A new guide for healthcare planners, implementers and managers on integrating palliative care and symptom relief into paediatrics was launched by the World Health Organization (WHO) at the 4th Global Gathering on Paediatric Palliative Care in Rome on Wednesday 24 October. The World Health Assembly has resolved that providing access to palliative care for children is “an ethical responsibility of health systems” and that integration of palliative care into public health-care systems is essential for achievement of the Sustainable Development Goal on universal health coverage (WHA 67.19). Yet access to paediatric palliative care and symptom relief remains rare in a number of countries. As a result, millions of the world’s vulnerable children suffer unnecessarily each year. 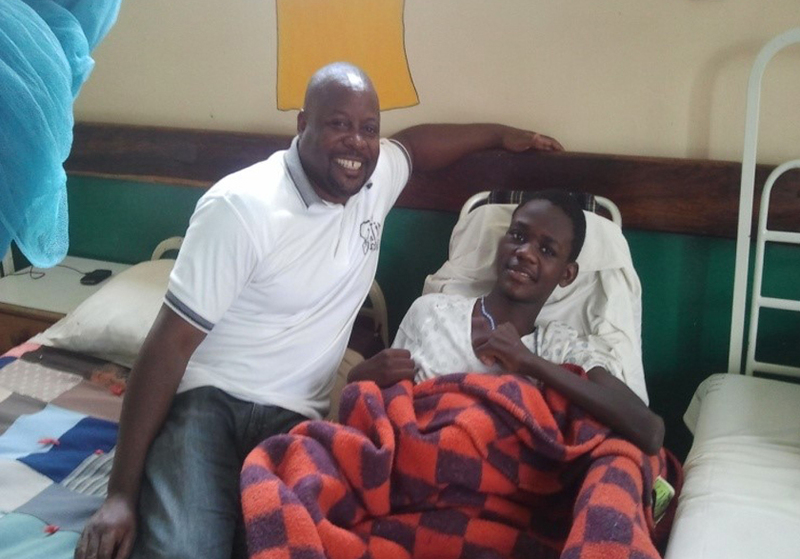 Research has shown that the number of children, including neonates, infants, children, and adolescents up to 19 years of age, who need paediatric palliative care each year exceeds 21 million. However, palliative care for children has not been seen as a priority around the world. A wide range of childhood health problems can generate the need for palliative care and symptom relief including not only advanced noncommunicable disease and HIV/AIDS, but also severe prematurity, birth trauma, congenital anomalies, severe non-progressive disabilities such as paraplegia and quadriplegia, drug-resistant tuberculosis and injuries. Paediatric palliative care requires special knowledge and skills, and it is essential that all providers of primary health care for children and paediatric specialty care possess these competencies. 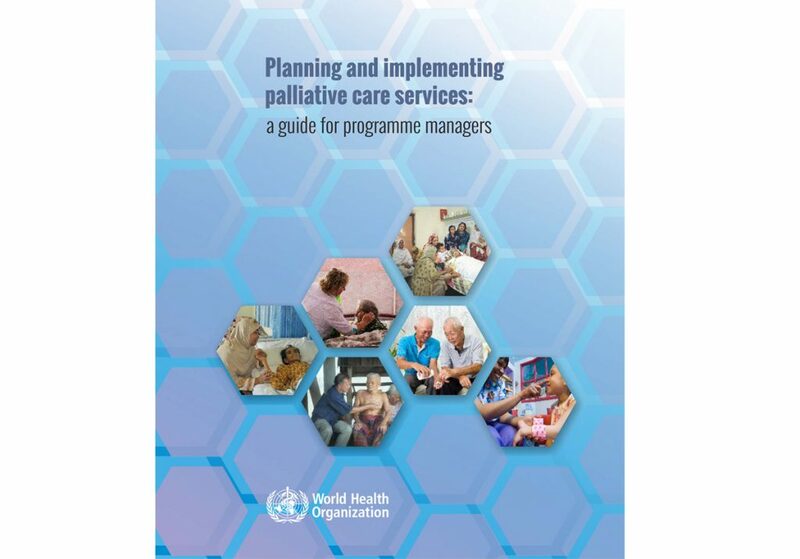 This document is part of a series of WHO publications on palliative care. Their objective is not to provide clinical guidelines, but rather practical guidance on integrating palliative care and symptom relief into health care systems. The guide is intended to assist anyone involved with planning, implementing, managing or assuring the quality of health care for children to integrate palliative care and symptom relief such that the quality of life of children and their families will be improved, health-care systems will be strengthened, and cost-effective models of service provision will be implemented. It also proposes an Essential Package of Palliative Care for Paediatrics and Symptom Relief and provides practical guidance on integrating PPC and pain relief into health care systems. Its contents are relevant to anyone involved with planning, implementing or managing PPC, including officials of United Nations organizations working with children, Ministry of Health officials, public health leaders, hospital managers, nongovernmental organizations, general and specialist paediatricians, surgeons, anaesthesiologists, primary care providers and palliative care providers. 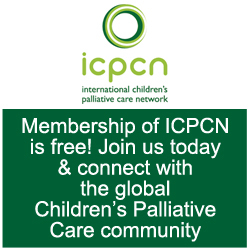 It has been developed by a working group of experts in PPC and symptom relief from around the world with extensive experience in working in low and middle-income countries, including ICPCN’s Chief Executive, Professor Julia Downing. The series of new WHO publications on palliative care, including this new guide on paediatrics can be accessed here.